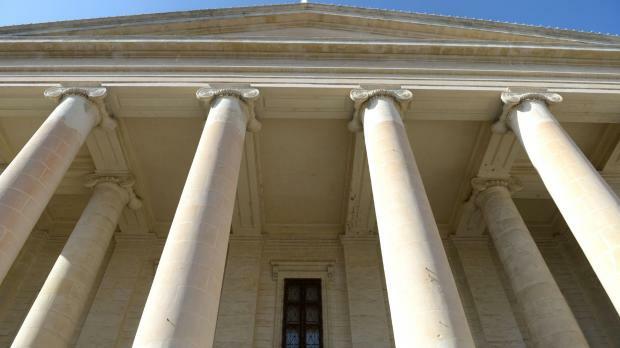 A man who conspired to transport irregular migrants out of Malta to Italy was handed a hefty pecuniary punishment instead of a possible effective prison sentence after he pleaded guilty instead of undergoing a trial by jury. Angelo Bilocca, 39, was facing a maximum jail term of 20 years and a maximum fine of €23,293 over his involvement in the conspiracy. The matter was brought to light when two of 25 irregular migrants destined to make the trip filed a police report when, halfway through the crossing, the trip was cancelled and the boatload escorted back to Malta without being reimbursed their money. The court heard how the migrants had been enticed to flee to Italy, paying some €1,000 to €1,500 each to certain individuals who were ready to assist them on the journey, scheduled to take place on the night of July 13, 2010. On the agreed date, the group were gathered in a truck driven by the accused who accompanied them to the point of departure close to the site of the former Jerma Palace Hotel in Marsascala. The fare for the trip was also given to Mr Bilocca. A speedboat carrying most of the migrants set out on the journey with a smaller boat in tow. Yet halfway through the crossing, all the migrants were asked to board the smaller craft and proceed on the journey alone. Since they refused to do so, the migrants were accompanied back to Malta and the trip was called off. Criminal action was taken against the accused over his alleged involvement in the human trafficking conspiracy. In October, before the accused’s case reached the trial stage and after a plea bargaining exercise between the Attorney General and the man’s defence lawyer, an admission was registered. The Criminal Court, presided over by Madam Justice Edwina Grima, declared the accused guilty upon his own admission and condemned him to a fine of €23,293.73 after considering various factors, including the fact that the migrants had not suffered any harm since they had been escorted back to safety. The court also took into account the fact that the accused bound himself to compensate the two victims who had filed the police report out of the funds unjustly taken for the trip. The man was also ordered to pay €21,500 in damages, which sum was to be withdrawn from funds already deposited in court. A further €414.36 was also to be paid by the accused by way of court expert expenses. Lawyer Arthur Azzopardi was defence counsel.